where ‘n’ and ‘m’ are the numbers of half lives required for 20% decay and 80% decay respectively. Dividing, 80/20 = 2m/2n = 2(m–n). Or, 2(m-n) = 4, from which (m–n) = 2 half lives = 2×20 min. = 40 min. (a) 80 min. (b) 120 min. (c) 20 min. (d) 30 min. From the equation, A = A0/2n, we have 30 = 240/2n so that n = 3. Therefore one hour is equal to 3 half lives which means the half life of the substance is 20 min. Two identical magnets are placed one above the other and tied together so that their like poles are in contact. 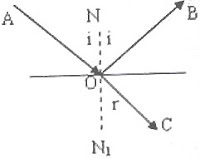 The period of oscillation of this combination (on suspending horizontally using torsionless suspension fibre) in a horizontal magnetic field is 2 s. What will be the period of oscillation if the magnets are placed one above the other such that they are mutually perpendicular and bisect each other? The period of oscillation is given by T = 2π √(I/ mB) with usual notations. In the both cases, the moment of inertia is twice that of one magnet. In the first case, the net dipole moment is twice that of one magnet since the like poles are pointing in the same direction. In the second case, the net dipole moment is √2 times the moment of one magnet since the moment vectors at right angles get added. T2 = 2π √(2I/ √2 mB) = 2π √(√2 I/ mB) = T1 √(√2) = 2×2¼ s.
The period of oscillation is given by T = 2π √(I/ mB) with usual notations. The period is therefore inversely proportional to the square root of the dipole molent ‘m’. When the pole strength is made 4 times the initial value, the dipole moment is made 4 times the initial value so that the period becomes half the initial value. The correct option is 2 seconds. [√(2RT/M)] of a gas molecule is in excess of about 20% of the escape velocity, for the molecule to escape to outer space. The escape velocity is given by ve = √(2gRE) where ‘g’ is the acceleration due to gravity and ‘RE’ is the radius of the earth. The molecular velocity (r.m.s.) is given by v = √(3RT/M) where ‘R’ is universal gas constant, ‘T’ is the temperature (in Kelvin) and ‘M’ is the molar mass of the gas (oxygen in the present case). Therefore, √(3RT/M) = 11.2×103. Substituting for R = 8.4 and M = 0.032 kg, the temperature works out to be 1.59×105 K.
According to Kepler’s law, the line joining the planet to the sun sweeps out equal areas in equal intervals of time. If we consider a very small time interval δt, the areas swept when the planet is at apogee (farthest away) and at perigee (closest to the sun) will be triangles whose areas are directly proportional to v1r1 and v2r2 respectively. [The bases of the triangular areas swept in the time δt are v1δt and v2δt and the altitudes are r1 and r2 respectively]. n = (1/2L)√(T/m) where L is the length of the wire, T is the tension and ‘m’ is the linear density (mass per unit length) of the string. (n – 4) α 1/62 where ‘n’ is the frequency of the tuning fork. [Note that the frequency of the wire is greater than that of the fork when its length is smaller]. Dividing, (n + 4)/ (n – 4) = 62/60 from which n = 244Hz. This means that n2 is the higher frequency. Since the higher frquency is given as 360 Hz, we have n1/360 = 35/36 from which n1 = 350 Hz. Therefore, beat frequency = 360 – 350 = 10 Hz. The resistances of P and Q are in the ratio 1:8 since the length of Q is twice that of P and the area of cross section of Q is a quarter if that of P. [The resistance is given by R = ρL/A where ρ is the resistivity, L is the length and A is the area of cross section]. The potential drops across P and Q (when current flows in them) are in the ratio 1:8. The potential difference applied across the series combination of P and Q is (20–2) = 18V. Therefore, the potential drop across Q = 18×8/(1+8) = 16V. The potential at the junction of P and Q is (20V– 16V) = 4V. In the circuit shown, the power dissipated in the 2Ω resistor is 9W. What is the power dissipated in the 4Ω resistor? P' = (I/3)2 ×4 so that P'/P = 2/9 from which P'= P×(2/9) = 9×2/9 = 2W. In Acoustics a closed pipe or organ pipe means a tube closed at one end. An open pipe or organ pipe means a tube open at both ends. When a standing wave (stationary wave) is formed in an organ pipe, the closed end will be a node and the open end will be an antinode. This is why the length of the pipe in the fundamental mode is equal to λ/4 (which is the distance between neighbouring node and antinode) in a closed pipe. In an open pipe, in the fundamental mode, the length of the pipe is equal to λ/2 since the consecutive antinodes are located at the ends of the tube. You should remember that a closed pipe can support odd harmonics only where as an open pipe can support all harmonics. In other words, the frequencies of vibration of the air column in a closed pipe are in the ratio 1: 3 : 5 : 7 : etc., while those in an open pipe are in the ratio 1 : 2 : 3 : 4 : 5 : etc. If ‘L’ is the length of the pipe, we have, L = λ/2 for the open pipe and L = λ'/4 for the closed pipe where λ and λ' are the wave lengths of sound in the two cases (in the fundamental mode). The corresponding fundamental frequencies are n = v/ λ = v/2L and n' = v/λ' = v/4L, from which n/n' = 2 [Option (b)]. The arrangement mentioned in this problem makes a simple resonance column apparatus. The wave length of sound emitted by the fork, λ = v/n = 330/500 = 0.6666 m.
The first resonance (fundamental mode) is obtained when the exposed length of the pipe is λ/4. The second resonance is obtained when the exposed length is 3 λ/4. These two are definitely possible since the length of the pipe is 1.1 m and λ = 0.6666 m.
The third resonance will be obtained when the exposed length is 5λ/4 = 5×0.6666/4 = 0.83 m. This too is possible. The fourth resonance will be obtained when the exposed length of the pipe is 7λ/4 = 7×0.6666/4 = 1.16 m. This is not possible since the length of the entire pipe is 1.1 m only. An optical communication system operates at a wave length of 750 nm. The available channel band width for optical communications is only 1% of the optical source frequency. How many TV signals can the system accommodate if each signal requires a band width of 5 MHz? The optical source frequency, f = c/λ = 3×108/(750×10–9)= 4×1014 Hz. Total band width available in the system = 1% of 4×1014 Hz = 4×1012 Hz. Therefore, no. of TV signals that can be accommodated = (4×1012 Hz)/ (5×106 Hz) = 8×105. The maximum line of sight distance possible is given by d = √(2Rh) where ‘R’ is the radius of the earth (6400 km) and ‘h’ is the transmitter height. Therefore, d = √(2×6400×103×300) = 62×103 m = 62 km. Reception by space wave is possible since the receiver is at 60 km. fc = 9√Nmax = 9√(1.414×1012) = 10.8×106 Hz =10.8 MHz. The transmitter frequency is 9 MHz only so that the waves can be reflected by the ionosphere. So, reception by sky wave also is possible and the correct option is (c). [Note that satellite transponder doesn’t come into the picture since the waves cannot penetrate through the ionosphere]. If the wave length is too large, the photon energy will be too small and the incident light will not be able to produce charge carriers in the semiconductor. With a given semiconductor therefore, there is an upper limit for the detectable wave length. Note that the product of the wave length in Angstrom and the energy in electron volt of any photon is 12400 (very nearly). So, the 1.55 eV photon has wave length equal to (12400/1.55) Ǻ = 8000 Ǻ = 800 nm. This is the maximum wave length this semiconductor can detect [Option (d)]. Jawaharlal Institute of Post-graduate Medical Education and Rrsearch (JIPMER) has invited applications for admission to the first year MBBS course (Session 2007-2008). Request for supply of application form and prospectus by post should reach the REGISTRAR (ACADEMIC) JIPMER, PUDUCHERRY - 605 006 on or before 14th March, 2007, along with a Crossed Demand Draft, drawn in favour of ‘ACCOUNTS OFFICER, JIPMER’, PAYABLE AT PUDUCHERRY (PONDICHERRY-605 006) and self addressed stamped envelope for Rs.50/- & of size 26 cm × 32 cm (to send the prospectus with application to the candidates). The Bank draft should be Rs. 350/- for General candidates and Rs.250/- for Scheduled Caste / Scheduled Tribe candidates. Filled in Application Form should be sent to the REGISTRAR (ACADEMIC), JIPMER, PUDUCHERRY-605006 so as to reach him on or before 28th March 2007, 4.30 P.M. PROSPECTUS AND APPLICATION FORM CAN ALSO BE OBTAINED IN PERSON AT THE BANK OF BARODA, EXTENSION COUNTER, JIPMER, PUDUCHERRY-6 ON PAYMENT OF RS.350/- (IN RESPECT OF GENERAL CANDIDATES) AND RS.250/- (IN RESPECT OF SC/ST CANDIDATES) IN CASH DURING OFFICE (BANK) HOURS TILL 28th MARCH, 2007 (WEDNESDAY) ON ALL WORKING DAYS BETWEEN 9.30 AM TO 3.00 PM ( On Saturday between 9.30 am to 12.00 noon). Candidates can also download the Prospectus and application from the web site www.jipmer.edu and submit the application ‘ONLINE’. However, they should take a print out in A4 Size Paper and affix the Photograph and sign the application and send the same along with the Demand Draft (Rs.350/- for General Candidates and Rs.250/- for SC/ST Candidates drawn in favour of the Accounts Officer, JIPMER, Puducherry-6 (Pondicherry-605 006). The D.D. 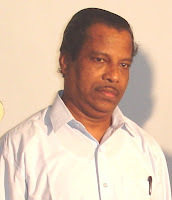 should be drawn on any Nationalized Bank) payable at Puducherry (Pondicherry - 605 006) and attested copy of Community Certificate in case of SC/ST candidates and Medical Certificate in case of Physically Handicapped candidates (if applicable), so as to reach the REGISTRAR (ACADEMIC), JIPMER, PUDUCHERRY-605006 on or before 28th March 2007 (4.30 PM) (Wednesday). (1) Puducherry (Pondicherry) (2) Chennai, (3) Hyderabad, (4) Delhi, (5) Kolkata and (6) Thiruvananthapuram. Further details can be obtained from the prospectus as well as from the website www.jipmer.edu. Make it a point to visit the site for information updates. The radius of the circular path of the electron is obtained by equating the magnetic force to the centripetal force: qvB = mv²/r. The radius ‘r’ is therefore given by r = mv/qB. The radius is therefore directly proportional to the momentum (mv) and inversely proportional to the charge (q) of the particle. The momenta are given as equal in the problem. Since the proton and the electron have the same charge magnitudes and are moving in the same magnetic field B, they will follow paths of the same radius[Option (a)]. In the case of the motion of a projectile in a gravitational field, the expression for horizontal range is R = (v² sin2θ)/g. In the present case, the gravitaional acceleration ‘g’ is replaced by the acceleration produced by the electric field. Acceleration produced by the electric field = Force/ Mass = qE/m. The correct option therefore is (d). The cyclotron frequency is the frequency with which a charged particle describes circular path in a magnetic field and is given by f =qB/2πm with usual notations. [You can get it this way: qvB = mrω² where ω is the angular frequency. Substituting v = ωr in this, we get ω = qB/m. Frquency f = ω/2π =qB/2πm]. f = (1.6×10–19 ×1)/ (2π×9.1×10–31 ) = 28×109 Hz = 28 GHz. Most of you might have noted that the transverse nature of light wave was proved by the phenomenon of polarisation. You should remember that sound wave cannot be polarised since it is longitudinal. You will often find questions based on Brewster’s law in the section on polarisation. When unpolarised light proceeding through a rarer medium is incident at an angle ‘i’ on a denser medium, the reflected beam is plane polarised if tan i = n where ‘n’ is the refractive index of the denser medium with respect to the rarer medium.. This is Brewster’s law. [ The transmitted beam will be partially plane polarised]. Since n = sin i/sin r, we have tan i = sin i/ sin r so that sin i/ cos i = sin i/sin r. Therefore, cos i = sin r. Therefore, r = 90° – i so that i + r = 90°. With reference to the figure, the angle BOC ( which is the angle between the reflected and transmitted beams) is therefore equal to 90°. If you are in too much hurry, you may pick out option (a). But the correct option is (e). Refractive index, n = tan i = tan 60° = √3 = 1.732. Angle of refraction r = 90° – i = 90° – 60° = 30°.